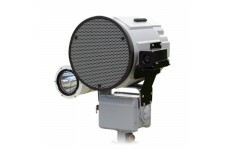 Combining the AA76823 Acoustic Hailing Device high powered acoustic technology with a remote control pan tilt system makes the Remotely Operated Acoustic Hailing Device, model AA76833, ideal for perimeter security and sound reinforcement applications. With an acoustic footprint of up to 1500 m, clear and authoritative voice commands are broadcast to intended targets with industry leading intelligibility. 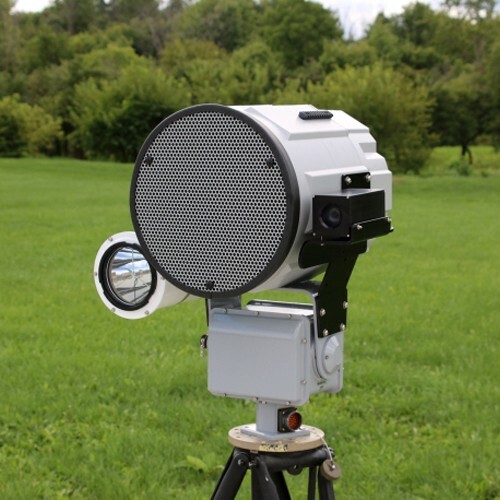 The Remotely Operated Acoustic Hailing Device comes standard with the Command and Control Center, providing operators with a simplified, modern control panel, allowing the user to focus on the job at hand. The Command and Control Center can be accessed from behind a desk or mobile on a wireless network while on the move, providing full functionality regardless of device size or operating system. 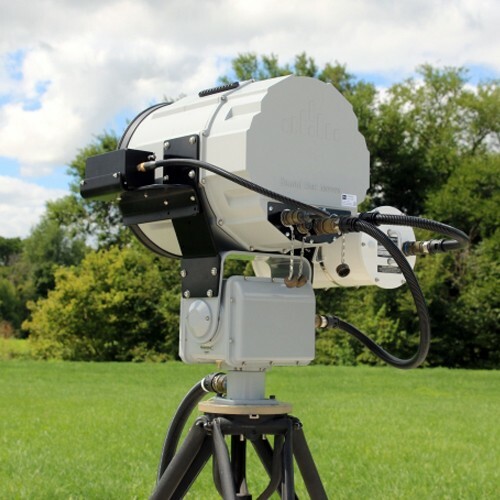 Adding an HD camera and high power search light to the Remotely Operated Acoustic Hailing Device is as simple as plug and play. The Command & Control Center is aware of attached devices and populates or omits control panels on the graphical user interface as required. 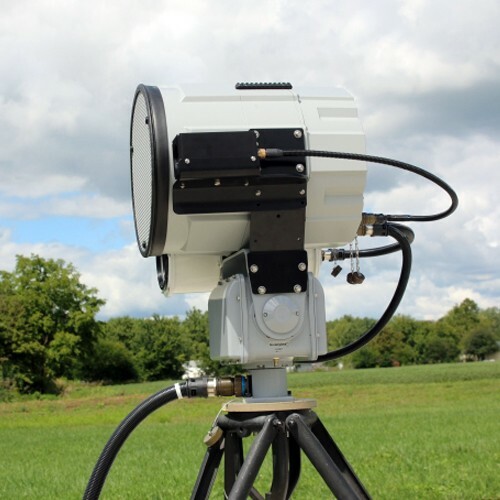 Optional specialized sensors, such as thermal imagers and laser dazzlers, can also be easily added to the product to enhance security features. 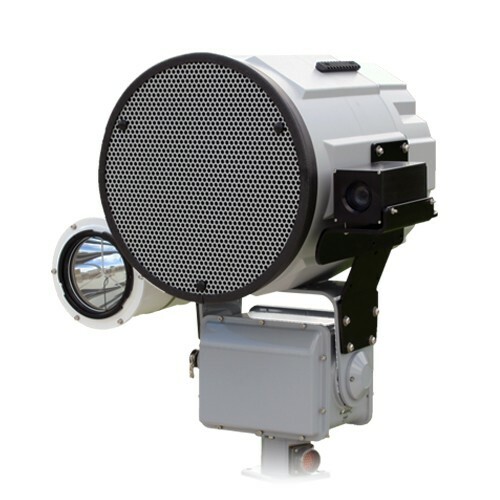 The acoustic punch of the AA76823 Acoustic Hailing Device speaker combined with the HD camera and a high-powered search light, makes Remotely Operated Acoustic Hailing Device the most robust perimeter security and sound reinforcement product on the market.